Selected Rings, Pendants and Talismans made available to Gemstoneuniverse.com patrons in the month of October 2010. Comments Amazing Scintillation and radiance are coming through this beautiful and symbolic pendant, with its wheel design signifying movement! 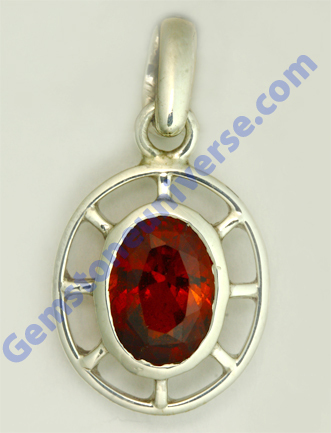 This fine Sri Lankan Hessonite has Honeydew like glowing colour and set in this pendant the colour is so much more enhanced that it looks more powerful set! Our patron was overjoyed when the pendant was given to him!. Hessonite is one of the fastest acting gemstones and gives the fastest and most excellent results for Rahu! Comments A fully natural untreated Ceylonese Yellow Sapphire with the Golden hue that this gemstone processes is a sight to behold, as this colour and lustre is not only very rare but also very mesmerising! Gemstoneuniverse.com is proud to be able to make available the best Jyotish quality fine gems for the most potent results to our loyal and discerning patrons! 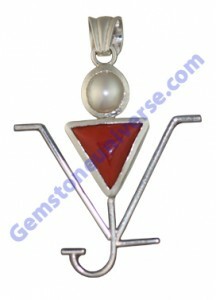 This delightful talisman will deliver superior results for Jupiter/Brihaspati-The planet of Good luck, fate and fortune. Comments A natural and untreated Colombian Emerald of 3+ carats is by itself a rarity these days. This spring green colour untreated and fully natural Emerald from Colombia is of an exceptional clarity that really amazed not only us but also the patron. If you look closely at the picture you can actually see the gold reflection through the gem. Such clarity in an untreated and fully natural is not only rare but also makes this gem very alluring and powerful. 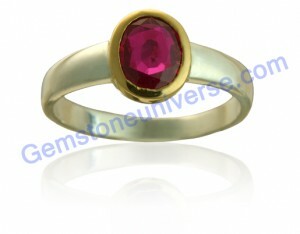 Selected Rings, Pendants and Talismans made available to Gemstoneuniverse.com patrons during the month of October 2010. 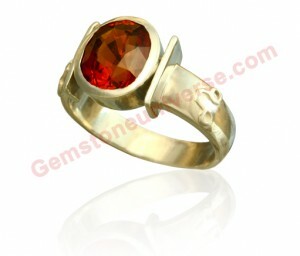 Comments Glorious very special Hessonite Garnet from Sri Lanka that exudes power through its fiery orange colour! This Majestic and royal untreated and fully natural Ceylonese Hessonite is perfect when it comes to the conventional 4 C’s of Cut, Color, Clarity and Carat weight. Also perfect are its mysteriously powerful Jyotish powers! A talisman of immense power and mystery! Comments Lovely and Royal unheated Burma Ruby that showed its full sparking beauty once it was set in the throne of gold and band of silver ring. 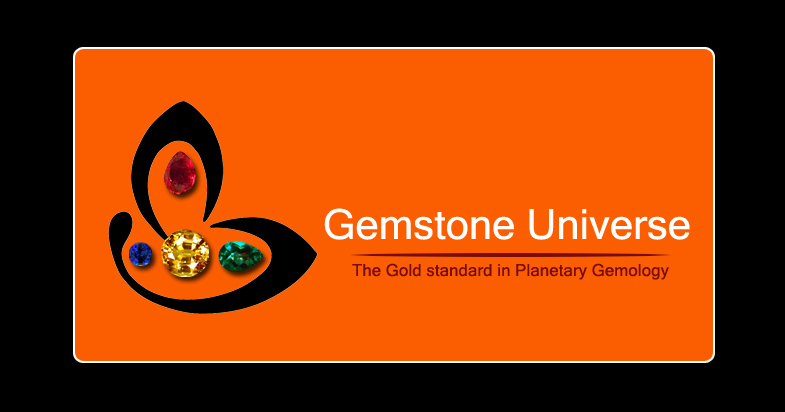 It is our pleasure that one of our patrons was inspired by our earlier blog and without having to compromise on the quality of the Gem, implemented the gem therapy. It gives us great satisfaction that our blog has inspired people to implement the gem therapy without having to compromise on the quality of the gemstones! Again the calming effects of the rare combination of a Blue sheen Moonstone, the superior alternative for Natural pearl, the gemstone of Moon, and a Cats eye / Lehsunia, the gem of the South node, Ketu, in a mystical calming pendant that just looks and feels mysterious, potent and powerful! 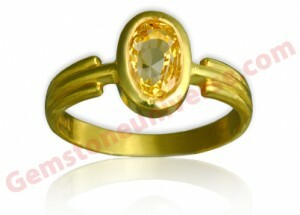 Comments A wonderful and mysterious, certified- natural and untreated Cat’s Eye with a very sharp Chatoyant Band. It is a pleasure to get an untreated and natural Cat’s Eye for our patrons. Powerful Ketu energies this Gem exhibits! Indian untreated and fully Natural Cats Eye that’s what we are talking about! This Blue Adularescence moonstone exhibits its Blue sheen even in the dark! Such a powerful gem and full of mellow, serene and calming lunar energies! This gemstone has powerful quality with mysterious and blatant Blue Sheen that is of a Jyotish quality that will give quick and instant results! In fact this calming beauty is one of the Superior Jyotish Quality Moonstone for use as a substitute gemstone in lieu of a Natural Pearl. Table of Red Coral and Natural Pearl Gemstone Facts! Comments Organic Red Coral from Sicily, Italy from our lot ZA1I! Lovely uniform Mediterranean Ox Blood Color with smooth finish and free from any surface blemish. The triangular shape adds to the allure and the mystique! This shape has mystical and talismanic value and represents the finest of Mars attributes of courage, vitality, initiative, fearlessness and enthusiasm. The pendant design was deigned by the patron himself, with initials of his own name. A fabulous design, we must say! Natural and non-nucleated and untreated Pearl representing the best of the lunar energies! Calming effects of Moon, just glow through this Natural Pearl! 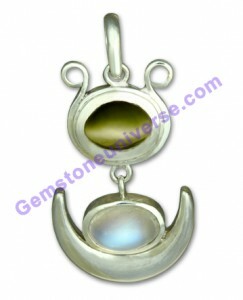 Set in this lovingly designed pendant, this Pearl just looks and feels serene! The pendant design was deigned by the patron himself, with initials of his own name. A fabulous design, we must say! 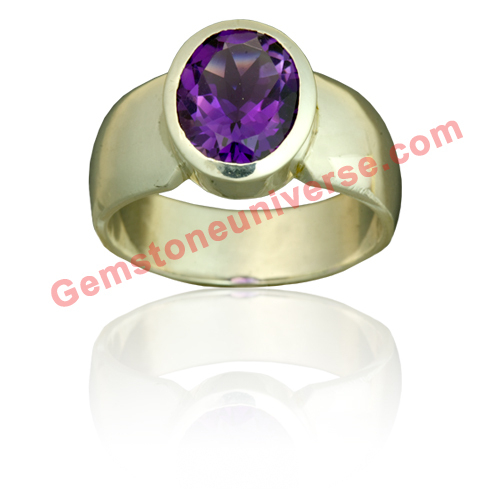 Just see each facet of this marvellously cut Natural and untreated Amethyst gleaming with Saturn energies! This talisman is so full of mystical saturnine energies with the intense extravagant Violet fully natural gemstone, that the potency of such a wonderful talisman can be felt just by looking at it. A magnificent untreated and fully Natural Ceylonese Blue Sapphire with the famous and most sought after awesome Peacock Blue colour. This coloured Natural Blue Sapphire is also known as Mayur Neelam. Vibrating energies! Even though we call this ENTRY LEVEL, the energies are definitely powerful! Jyotish quality! Comments Ever heard of Mayur Neelam- Well this is it. The Blue Sapphires that have a color hue of the shade of a peacock’s neck are called as Mayur Neelam. Very exotic and rare. This oval unheated beauty that looks like a Montana Blue Sapphire was actually mined and cut in Sri Lanka. Very versatile and captivating Blue Sapphire with nice saturnine energies. Fully natural with no treatment. 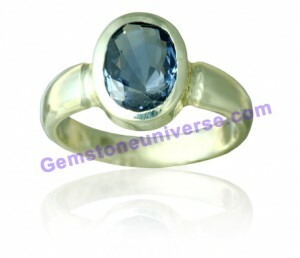 This is an entry level Jyotish Quality Blue Sapphire. After some of the entry level Blue Sapphires were featured on our blog a lot of patrons sent enquiries for these ones. If you are new to Gemstone therapy then this is the Gemstone for you. Sample of entry level Blue Sapphire talismans can be viewed online by clicking here. Comments The Purple Violet shade of Amethyst is much sought after especially when clarity levels are exceptional. 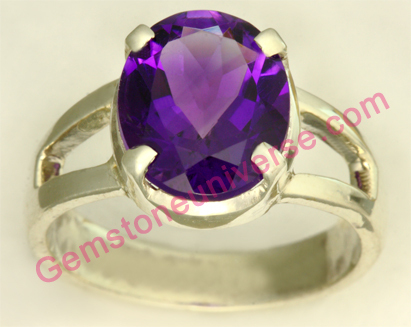 Amethyst gives very good results as a substitute of Blue Sapphires. 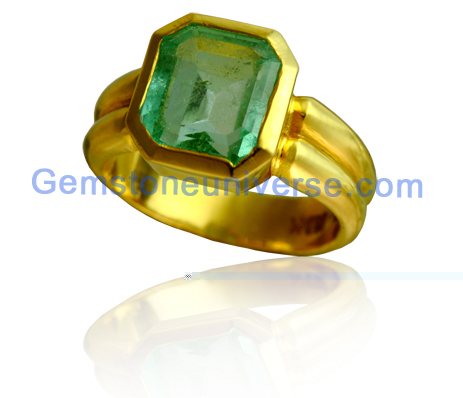 This gemstone has been blessed with the quality for healing deep seated traumas and complexes. It is the gemstone for the 7th chakra and helps the individual in his spiritual journey of self realization.